The GUI (Golfing Union of Ireland) was established in 1891, making Ireland the first country in the world to set up a Golfing Union. Today, the GUI holds similar credentials to that of the GAA (Gaelic Athletic Association); it being firmly rooted in Irish sporting history as well as being a governing body over county tournaments. 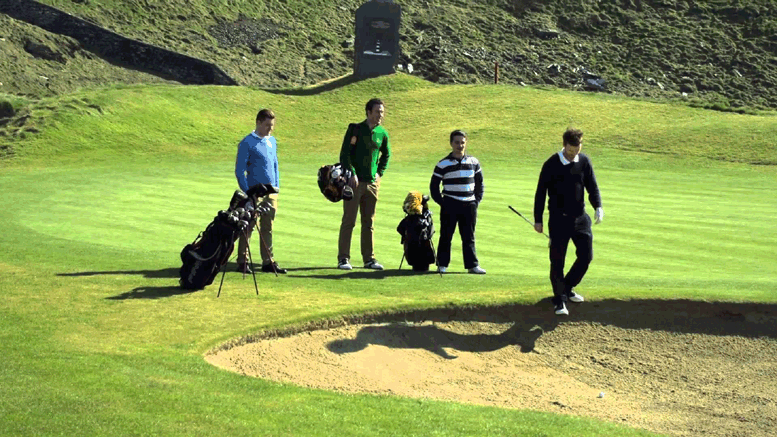 Aesthetically, Ireland has a very distinctively beautiful, rugged and varied landscape – ideal for Golf. It’s coastal dunes; vast greenery and varied landscapes prove popular for many Golfers around the world. Some travel from as far as the Americas in order to gain a perspective of Irelands most famous Golf courses, such as Royal County Down and Kerry’s Ballybunion Course. In 2008 there was mass speculation concerning Donald Trump’s interest in a couple of sites on the Island. Having originally chosen a site in Aberdeen, Scotland, there were a number of planning issues delaying his project in which he’d planned to invest billions of dollars in a luxurious Golf Course. Following these issues, he sent his Managing Director George Sorial on a tour of Ireland to scout two possible sites for this project; the proposed sites being on the North Coast, close to Bushmills along with a very picturesque region of County Down. However, Mr. Trump’s plans in Scotland were given the green light and proceedings began. Fortunately, Ireland boasts an array of top class lavish courses, both North and South – providing excellent playing grounds for those who could finance such an endeavor. But aside from the luxurious Golf courses – Ireland has masses of Council maintained, municipal Golf courses. These courses were constructed after an influx in popularity for the game on the Island shortly after World War II. Golfing wasn’t the most cost-effective sport and the sportsmen who occupied the clubs were more than likely wealthy professionals. However, after the war – things changed and people became more relaxed and involved in leisurely activities – resulting in the rise of public courses, which inevitably sparked off an interest from men, women and children alike. It is upon such courses that Irish Golfing Legends such as Padraig Harrington of Dublin and Darren Clarke of Tyrone began their Golfing careers as amateurs, eventually progressing to a professional standard resulting in seven PGA Tour wins between them. Ireland is renowned as being one of only a handful of endowed countries with the most Golf Courses per capita. Albeit, not a traditional ‘Gaelic’ Sport, Golf is one steeped in deep Irish Heritage and the sport is promoted through local Councils, Schools and Universities. Also, the sport’s popularity is not restricted to a male following. The LGU (Ladies Golf Union) is the governing body for women’s’ Golf in Ireland and Great Britain, which oversees several All-Ireland Championships in Women’s’ Golf. Ireland boasts magnificent courses, a ream of Golfing heroes and some of the most stunning scenery imaginable; proving both a joy and a challenge to Golfers of all handicaps.